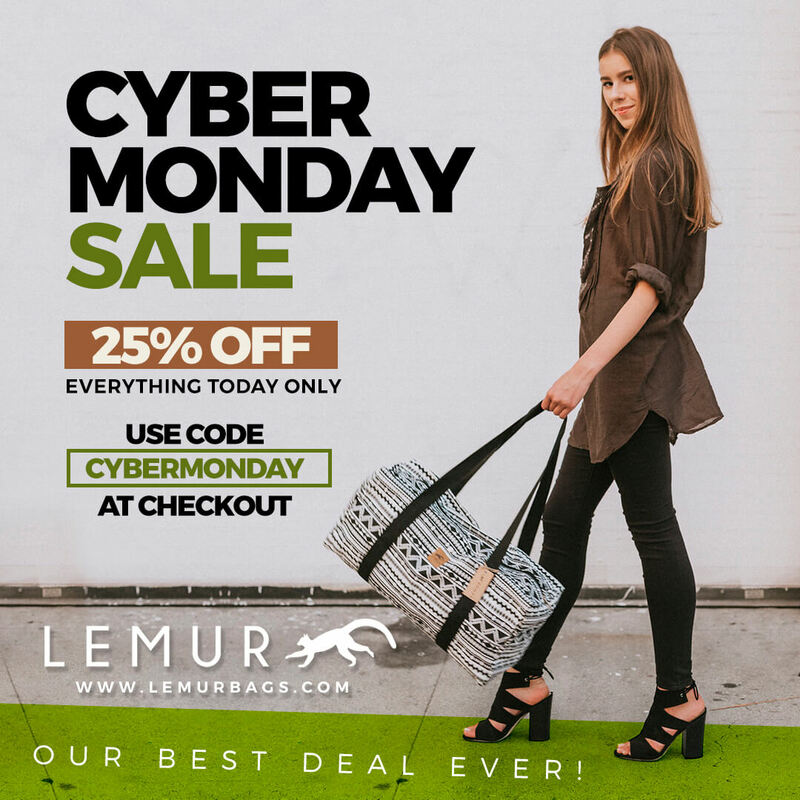 For every bag you purchase on LemurBags.com on Monday, November 26th, we're going to donate every single penny of it to lemur conservation! So just head over to the shop, find your favorite bags (and maybe some gifts for the holidays 🎄 🕎), check out, and we'll donate the entire purchase amount to one of our favorite lemur conservation organizations. Check out our Winter Favorites.